With guests Conor Daly and Dario Franchitti. 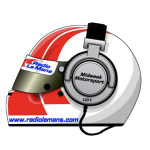 John Hindhaugh talks those at Sebring for the American Le ..
[embed]http://audio.mpix.org.uk/mwm2006/mwm46.mp3[/embed] A special edition ahead of Petit Le Mans, with John ..
[embed]http://audio.rpix.org.uk/mwm/2/mwm2-18.mp3[/embed] This week's guests include Dario Franchitti. [embed]http://audio.rpix.org.uk/mwm/2/mwm2-32.mp3[/embed] John Hindhaugh is joined by BRC boss Mark Taylor, and ..